Bee-centred beekeeping is an approach guided by the biology and nature of the honeybee. The bee-centred method is non-intrusive, low intensity and minimal stress for bees and beekeeper. Colonies managing their nest environments without the well-meaning, but often disruptive, support of man are subject to natural selection which weeds out the weak. Strong, healthy colonies are capable of coping with varroa, viruses and other pathogens. This has been confirmed by observation of Bees in wild or feral settings where colonies often chose quiet, warm or well insulated sites several metres above the ground. 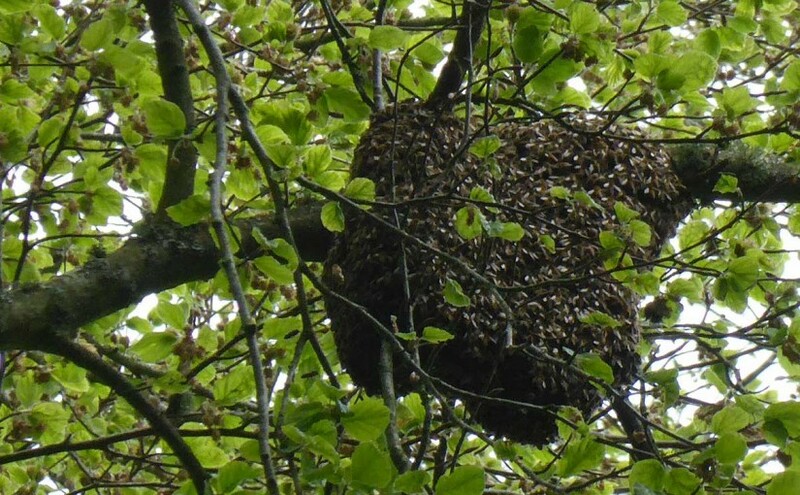 High up, in trees or buildings, Bees are often unnoticed and cause little nuisance while living alongside man and providing essential pollination services. This sympathetic, considerate approach to beekeeping will enable people to live in harmony with bees, enjoying their presence in the garden and receiving the gift of honey. via Bee-Centred Beekeeping | Bee Kind Hives. This entry was posted in Bees, Elen Sentier and tagged bees by Elen Sentier. Bookmark the permalink.